Unboxing of Samsung Galaxy S8 Plus Sri Lanka, what is the best Phone Samsung Galaxy S8 or S8+ Explained in SInhala by Chanux Bro. Display size Camera Quality Battery life Pixels. difference between Galaxy S8 and S8 plus. How to use Google Pap Mart 01 in Sinhala Google Map Tips for android and iphone users. Dangers of "Double Locker" ransomware, Android ransomware encrypts the user's files and locks device such as android phones and tablets. Quick Way to Remove Double Locker Ransomware, Tips To Remove Double locker ransomware Virus from android and smartphones. explained in sinhala by Chanux bro. Web Browser Explained in Sinhala by Chanux Bro. Truth, don't listen to what others say. They do not live your life, feel your emotions or know the love you have. It can cost you everything including yourself Sinhala Motivation Videos to Success you life. 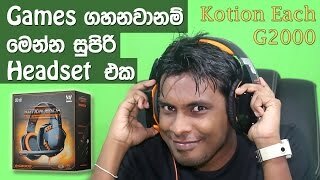 Sinhala geek show by Chanux bro. Sri lanka.